Susan Heim on Writing: Young Adult Faeries & Fantasy Giveaway Hop: Enter to Win "Horns & Wrinkles" by Joseph Helgerson and a $5 Starbucks Gift Card! 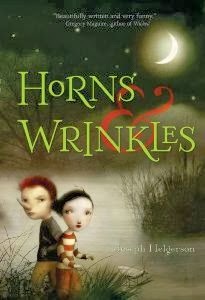 Young Adult Faeries & Fantasy Giveaway Hop: Enter to Win "Horns & Wrinkles" by Joseph Helgerson and a $5 Starbucks Gift Card! How can you tell if a river’s under a spell? River trolls, rock trolls, blue-wing fairies -- the usual suspects. The stretch of the Mississippi where Claire lives has rumors of them all, not that she’s ever spotted any. But then Claire’s cousin Duke takes a swim and sprouts a horn -- a long, pointy, handsome thing. After that, Claire doesn’t have much choice but to believe that something rivery is going on, especially since she’s the only one who can help Duke lose his new addition. In the tradition of grand river adventures, Joseph Helgerson’s tale is as twisty and unpredictable as the Mississippi River itself, while an unusual cast of characters adds pepper to the pot. Readers of all ages will enjoy getting in -- and out of -- trouble with Claire and Duke in this nimble, sharp, and funny fantasy. Note: I purchased this book at my local library’s used bookstore so it is a gently used paperback. In addition to the book above, I am throwing in a $5 Starbucks gift card so you can enjoy a delicious cup of coffee or hot cocoa while you’re reading this book! Enter through the Rafflecopter form below. This giveaway is open to U.S. residents only and will end at 11:59 PM EST on January 15, 2014. 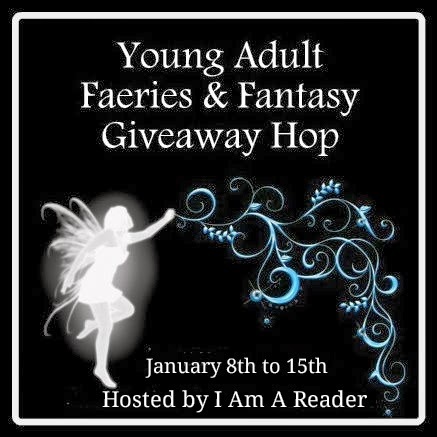 Now hop around to the other blogs participating in this hop for the chance to win more young adult faeries and fantasy books! Disclosure: I purchased this book myself and am donating it for this giveaway. I would have to say drinking a white chocolate frappe!! My favorite beverage to drink while reading is French Vanilla coffee. Thanks for having the giveaway. I love drinking chai tea or hot chocolate! Thanks for this amazing giveaway - I would love to win! My favorite is an awesome cup oh hot cocoa while I am reading.... that or a hot cup of coffee!!! Love the Giveaway!!! And I love your fabulous blog!!! 16oz double shot vanilla latte :) nothing better with a good book. A big cup of hot chocolate is great for winter reading. Thanks for the giveaway! A cup of Spiced eggnog coffee! I love to curl up with a good book and a cup of hot peppermint tea. Good times! Wow, this looks like a really fun read..I'm always excited to find something I wasn't expecting…count me in! I like drinking hot cocoa with marshmallows while reading. If I can't get to a Starbucks for a Grande Carmel Frappuchino then I like a cup of hot tea when I'm reading. I like to drink hot orange pekoe tea. i like a cup of hot green tea or millky black tea, if I'm at starbucks though I can't received an iced chai. In the mornings, I love a nice, hot coffee with my book. In the afternoon, I prefer iced tea or, if I haven't made tea, either ice water or Diet Coke (if we have it). 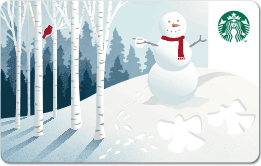 If it's really cold or snowing, I love either hot chocolate or nice hot tea with milk and honey. A rich creamy cup of homemade Hot Cocoa!! I love drinking hot tea with honey. In the winter, I love a hot cup of coffee. In the summer, I like a glass of iced tea. Vanilla Caramel tea with milk and sugar. I usually don't eat or drink while reading. My favorite beverage this time of year is a mocha latte. A cup of hot cocoa. i love hot chocolate esp from starbucks! I love a cup of hot chocolate. I like to drink a cup of hot tea. I love reading and drinking a cup of hot tea. I love drinking my lemon tea when I am reading any book. I like a hot cup of Earl Grey! I love hot chocolate in winter. Iced tea in summer. In cool months, I like some warm peppermint tea. I enjoy a good cup of coffee with a splash of fat free half & half. Actually, I don't drink while reading. I'm a bit of a slob and don't want to spill on the pages! A mug of hot chai tea is the perfect drink for sinking into a book! I love drinking vanilla lattes when reading. Hot chocolate spiced with cinnamon. A vanilla capp is my fave. I like a large cup of coffee with a little cream. If I'm reading in the morning, a cup of really good coffee, otherwise just plain water. I like drinking anything hot. A really great cup of coffee! I love peppermint white mochas, mmm, it makes my mouth water just thinking about them!! 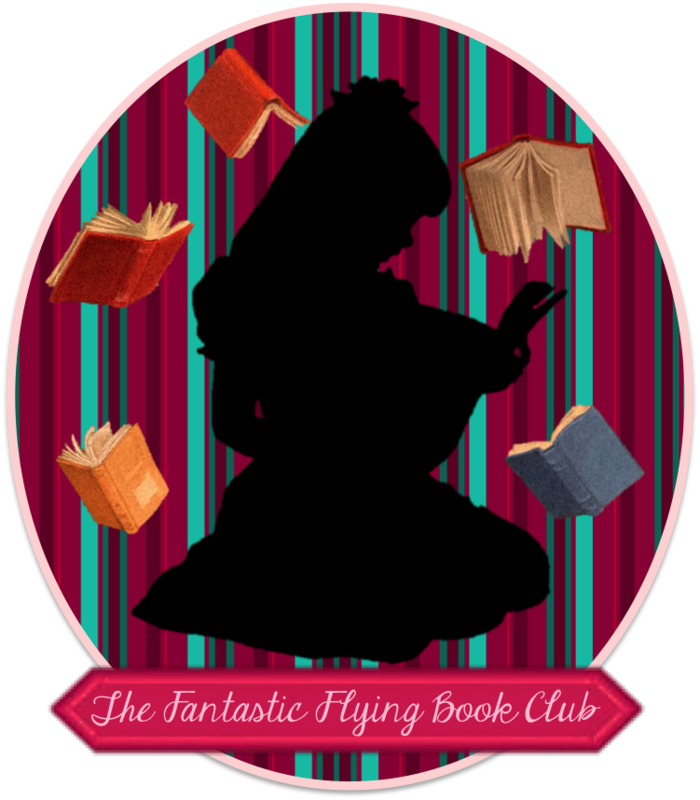 ps I <3 the artist who did the book cover!! Love love LOVE! I love the cover art, too! The book says it is by Nicoletta Ceccoli. She also drew an illustration at the beginning of each chapter. Hot cocoa, mocha, or caramel frap or Coolatta. Looooove coffee and a good book. I tend to like Hot Chocolate or tea in the winter, iced tea in the summer! I love any kind of iced coffee or iced latte drinks! I love a hot cup of tea when I'm reading a good book. So easy to relax with that and I get lost in the book! Sprite is my favorite drink while reading a good book. Tea -- hot or iced, depending on the weather. I like coffee or hot chocolate. My favorite drink while reading is a skim vanilla latte. I like a cup of french vanilla chai. A caramel frappuccino is my favorite thing to drink while reading a good book! My favorite thing to drink while reading is a green monster energy drink. I usually just drink ice water with lemon. Hot tea, or a good cup of cocoa! I love drinking a white chocolate mocha or hot chocolate with peppermint while I read. Thanks for the awesome giveaway! In the cold weather Hot Chocolate but in the warmer weather Sweet Tea. I'm trying to drink more water, so I really like to drink seltzer water when reading, but I also love a good cup of cocoa or sometimes apple cider. ummm... JWB on the rocks! I love green teas or a vanilla latte. I love drinking hot cocoa. Depends when I am reading. During the day, hot chocolate or a cola, at night, a glass of red wine. I like Iced Tea. Thanks for the giveaway. Good Luck Everyone. It depends on the day and the book but in general I love a large mug of cocoa. I like vanilla chai tea. i like to have a nice hot cup of coffee while i read a good book. I like a cup of hot coffee, black with no sugar or cream. It's a toss up between coffee and earl grey tea! I love to drink vanilla lattes when I read! I like to drink flavored water. I usually use Hawaiian Punch drink mixes. I like Hot Chocolate in the winter and Frozen Frit Smoothie in the summer. I like to drink hot chocolate with lots of marshmallow. I like drinking hot tea when reading. I love just a regular cup of tea! Nothing fancy! A straight up cup of hot, black coffee. My fave would be a soothing hot chocolate. In warm weather I drink iced tea, in cold weather I drink Hot Tea! I drink a lot of tea while I read. I like hot coffee with cream in the winter and cold iced tea in the summer! I like to just drink some ice cold water! Usually I like a diet cherry cola, thanks! I like a glass of Coca-Cola. I love drinking hot chocolate while I'm reading! It's usually coffee or hot chocolate.